Balance. It's just a word, but in our lives it can mean a complete shift in experience. Feelings of inadequacy. Jealousy. Being overwhelmed. Anger. Bitter resentment. All are very real feelings, but severely lacking something that would bring back balance. Here lately, I have found some really great planes to set up shop in - a lot of joy. And then in a moments notice, all of my ugliness can rise to the surface and I'm the fire-breathing dragon ready to devour all in my path. One of the things that tells me is this: Even in the midst of great triumphs and celebrations, balance is needed. 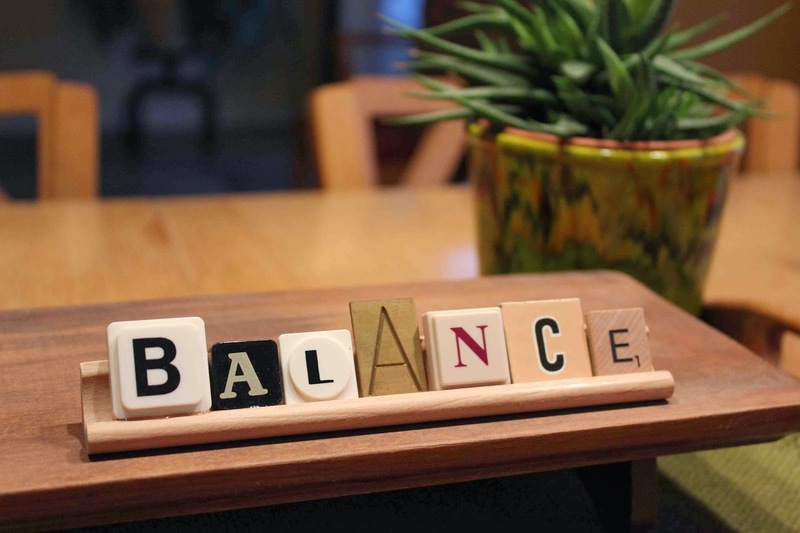 Balance is something to be maintained and regulated. Are you like me and catch yourself shaking your head in disbelief at someone's foolish choices or destructive reactions? Take a closer look and I expect you'll see where they are lacking some balance. Do you ever shy away from strong personalities or those that differ greatly from you? I do. I don't want a fight or to make things worse than they already are. Still, I underestimate how much any strong personality or opinion needs my or someone else's balance that they can bring. A differing perspective, or even a simply lived life that avoids the well-beaten path, while might feel lonely some days, can be so useful and productive for the lives it touches. Rabbit hole: There is a lot of unnecessary and destructive 'discussing' on facebook. It is just not the place and it seems like too many have lost their minds, thinking that no one is going to read their displays of childishness except for those in the conversation. So, when you consider getting involved in such a discussion, balance yourself with some discretion and class. If it's important enough to be said, you probably can pick up a phone or send an email before you have to show your claws on social media. Balance. I'm so thankful that God asks more of me than just a devoted emotion or a singular ritual. God's design, in all things, is a beautiful balance of standards, requirements, devotion, creativity and beautiful mercy. It's so much more than where we are comfortable. It's so much more than tears shed. Instead of criticizing, complaining or giving up, ask what needs balancing. Don't be ashamed of your life, but instead allow it to balance and be balanced by those around you.